The following series of posts were written by David Ben Abraham. I appreciate his contribution. For clarity sake, I will be diving up his essay into more digestible segments. THE HALACHA regarding the Spanish and Portuguese Jews who were compelled to adopt the Christian religion (henceforth: “Benei Anūsim”) or leave the Iberian Peninsula was clear to the rabbis of Israel in the 16th century CE, as they were still considered Jews who had not yet intermingled or intermarried with gentile families since the Spanish Inquisition of 1481 and the expulsion of Spanish Jewry in 1492, and the Portuguese Inquisition in 1531 and in 1536. In a responsum written by former Spanish Jew and exile, the RADBAZ – which is an acronym for Rabbi David ben Zimra (circa 1479 – 1589), a Rabbi who was also expelled from Spain as a child with the general expulsion of Jews in 1492, he was asked about those “Benei Anūsim” whose children were left uncircumcised (as the Christians of Spain) but who now wished to return to the Jewish religion and to keep its injunctions. Less than one-hundred years had passed since these Jews were forced to abandon their religion and to adopt the Christian religion, and their lineage was still well-known to themselves. In their case, all that was needed for them was to start keeping the commandments, while no more than this was required of them. When the “Benei Anūsim” needed to be circumcised, they simply did so – adding the blessing known as ‘Sheheḥiyanu’ (‘Who hast kept us alive’). There was no need to convert them to Judaism, because they were already Jews who had merely concealed their Jewishness! Here is a translation of that responsum. “YOU HAVE ASKED me concerning the ‘Benei Anūsim’ who have come to put themselves under the wings of the Divine Presence, whether or not they are required to make the blessing known as ‘Sheheḥiyanu’ (lit. ‘Who hast kept us alive’) at the time of their circumcision. ANSWER: The matter is clear with me that he is required to bless, if he knows the blessing, for how can it be any different from he [who is a firstborn son] whose father has 2 not redeemed him [at birth] and he comes to redeem himself [when he’s grown older]? He blesses, ‘[Who hast commanded us] to redeem the firstborn son,’ as well as ‘Sheheḥiyanu’ (‘Who hast kept us alive’). Likewise has Maimonides (of blessed memory) written, and has stated in writing that they didn’t enact ‘Sheheḥiyanu’ excepting over some joyous occasion [that happens to befall man], although here, in this case, he [that circumcises himself] is in sorrow by reason of his pain. Still, it presents no difficulty, since there is no joy except the joy of the heart. Moreover, it is written (Psalm 119:162): ‘I rejoice at your word,’ which verse was said to refer to circumcision. Although the body is in sorrow, the heart is glad, and as a result of the joy of his heart he makes the blessing. 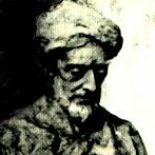 Now, if you should ask, ‘why hasn’t Maimonides (of blessed memory) written this [explicitly] about circumcision, just as he has written it about the redemption of the firstborn son?’ Perhaps we can say that because the one who is being circumcised is troubled [about the affair], he cannot adequately direct his mind [in what is required of him], wherefore, he has omitted it. However, if he is able to direct his mind and to make the blessing, who is it that will exempt him?! [Implied here that a grown man may still say ‘Sheheḥiyanu’ when he is circumcised]. Posted Rabbi Juan Bejarano-Gutierrez the director of the B’nei Anusim Center for Education and author of What is Kosher? This entry was posted on January 21, 2014 by rambam442013 in Crypto-Jewish History and tagged Anusim, Crypto-Judaism, Halakha, Rabbi David ben Zimra, Rabbi David ibn Avi Zimra.